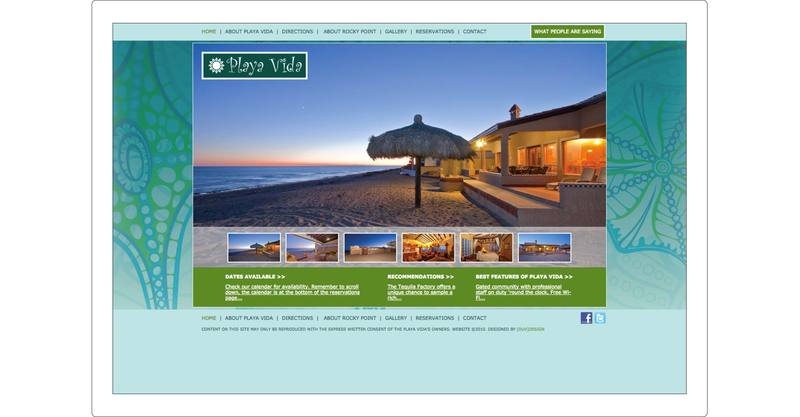 The owners of Beach Play Vida commissioned [DUV]DESIGN to design a website to promote their newly renovated vacation property in Puerto Penasco (Rocky Point), Mexico. 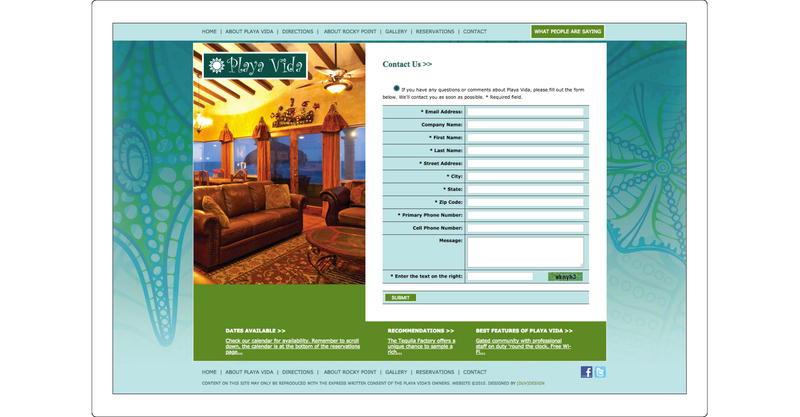 The primary goal of the website was to showcase the luxurious property and to provide information about activities in Puerto Penasco. 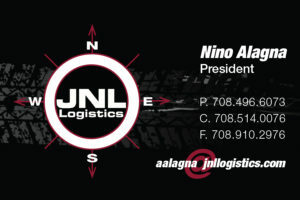 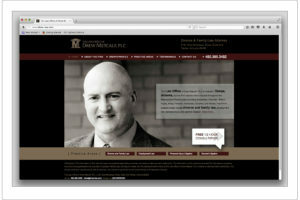 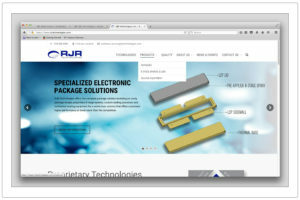 In addition we also designed a logo, since the client did not have a logo to use for the site. 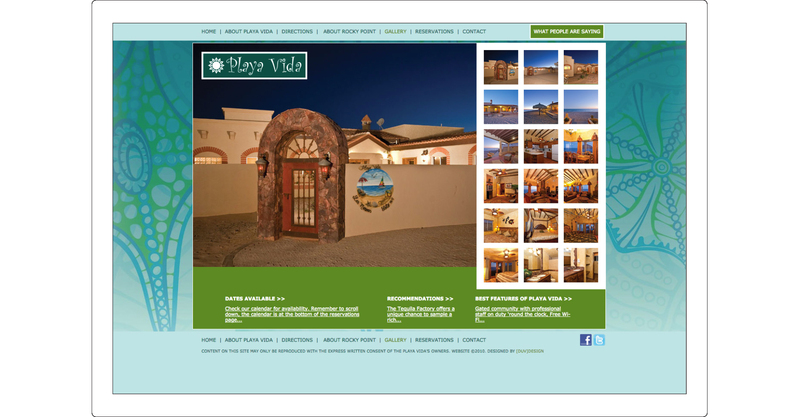 Puerto Penasco is a beach town oasis removed from the tourist traps found scattered throughout the rest of the country. 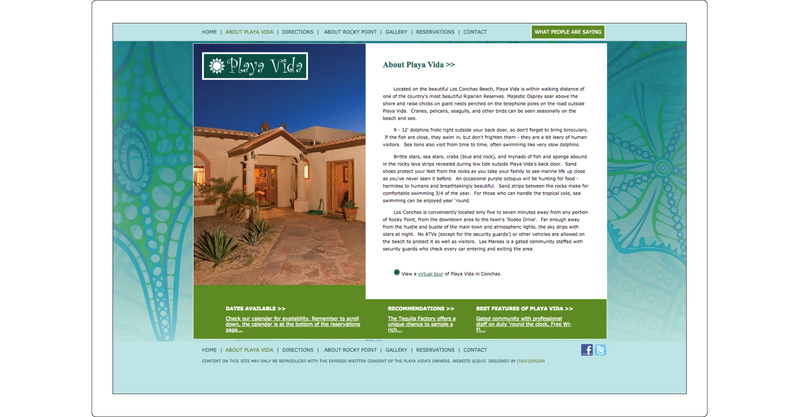 Hidden in a small inlet on the Sea of Cortez, it has long been a private vacation spot for those seeking a fun, family-oriented excursion.